Select the Homepage Template under Page Attributes and Click the Publish button. 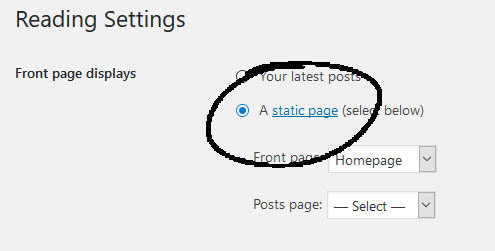 Then go to Settings → Reading and tick the checkbox that says “A static page (select below)”. Next, select the homepage from the drop-down list and click the save button. To create projects page, go to Pages → Add new and create a new page, e.g. “Projects”. Select the Projects Template under Page Attributes (right bottom of the editor screen) and click the publish button. To create a blog page, go to Pages → Add new and create a new page. For those who don’t know, blog page is where you latest posts will be displaying. Call it “Blog” for example and click the Publish button. 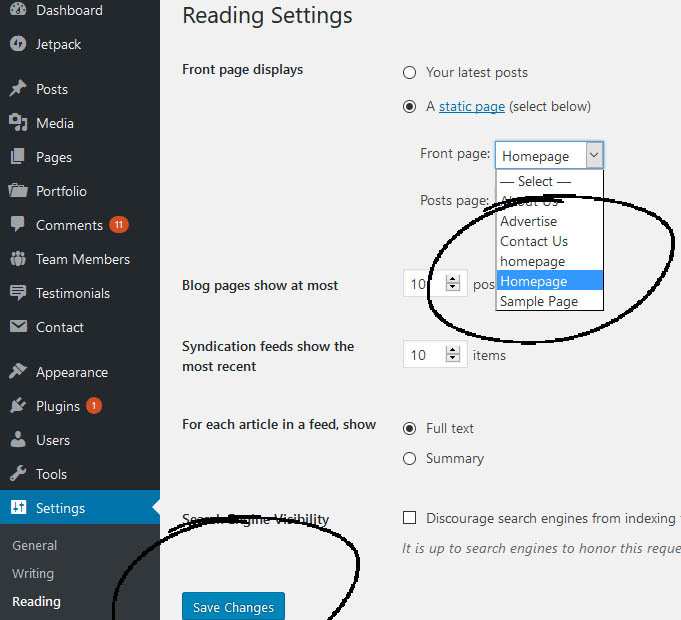 Then go to Settings → Reading → Select the blog page drop-down and click save button. We are doing this so the latest posts can be displayed on blog page (or in our case Journal, as you see on the demo page). To create a teams page, go to Pages → Add new and create a new page, e.g. “Team”. 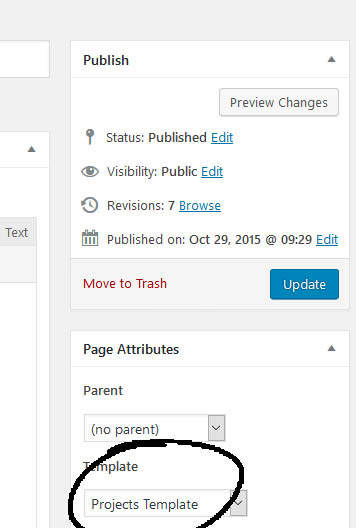 Select the Team Template under Page Attributes and Click the Publish button. 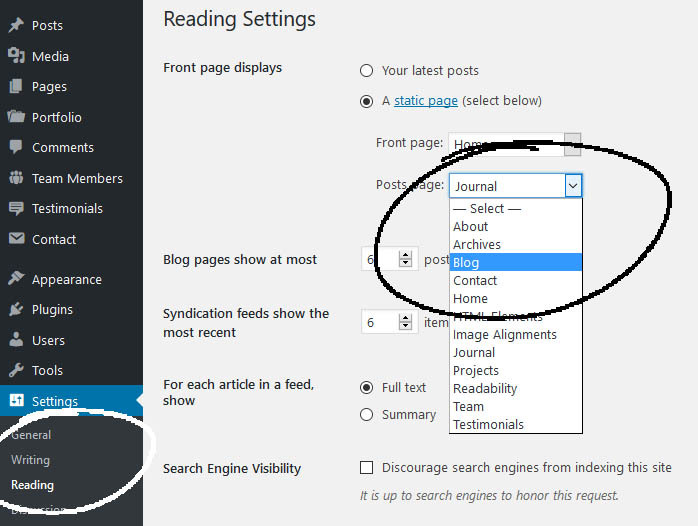 Select the Archives Template under Page Attributes and click the Publish button.